When thinking about the history of Tyler, the upcoming 70th anniversary of the Arboretum, and the wonderful evolution of the land, it can be helpful to start at the very beginning. We had the opportunity to reflect on just that recently as the Historical Society of Pennsylvania Small Repositories Project was surveying the archives at Tyler Arboretum. Project director Jack McCarthy gave us some very fascinating insight into the original land deed between William Penn and the first owner of the Tyler Arboretum land, Thomas Minshall. At that time, he mentioned that the deed was one from before William Penn left England. According to Mr. McCarthy, “After William Penn received the grant from King Charles II of England for the land that would become Pennsylvania in March 1681, he began advertising the colony and selling tracts of land.” Thomas Minshall clearly did not need much time to deliberate leaving the conditions in Lathford, England, as he purchased the land that would eventually become Tyler Arboretum on March 21, 1681. 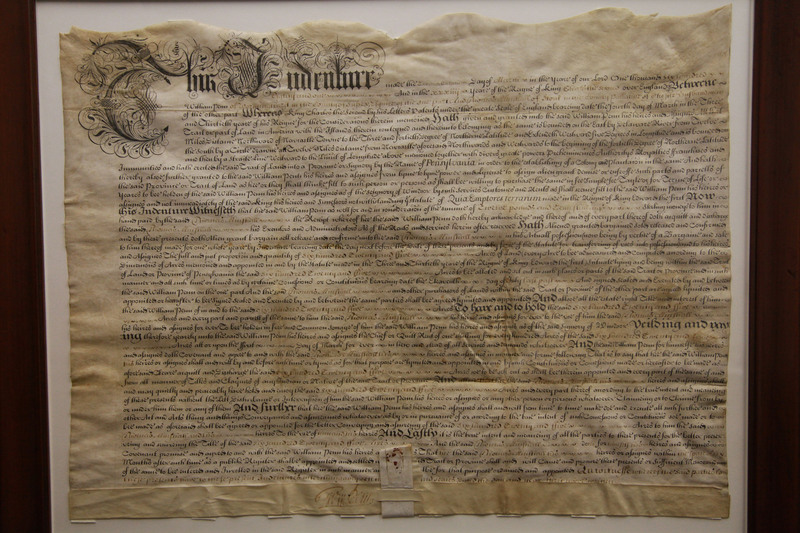 Indenture document (circa 1682) for the land that would one day become Tyler Arboretum. In fact, William Penn did not come to the territory known as Pennsylvania until October 28 or 29 of 1682. Interestingly, Thomas Minshall and his wife Margaret Hickock arrived in Pennsylvania in August of 1682, several months before even William Penn!